Inspiration wine cabinets integrate seamlessly with no visible vent. A clever design choice for those who love to entertain at home. Inspiration with integrated door – coordinate with joinery whilst displaying bottles. 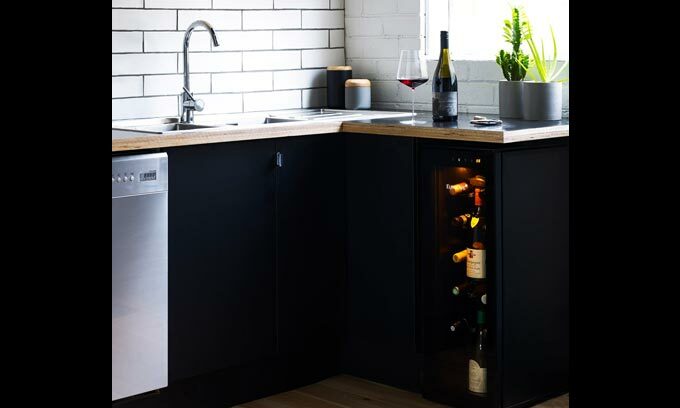 Integrate cabinets into kitchen joinery to keep wine within arm’s reach. 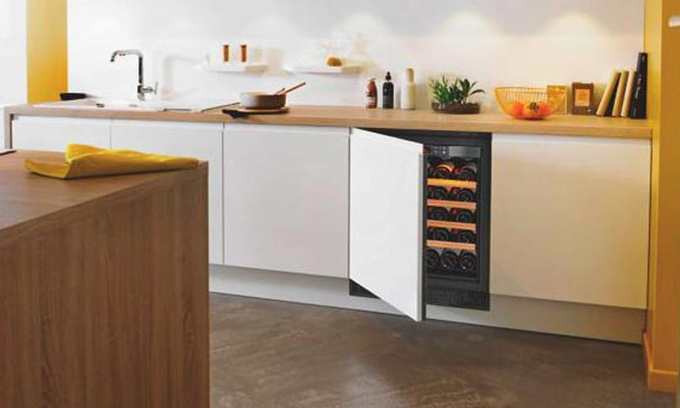 Inspiration wine cabinets integrated at eye level complement other appliances. An integrated solid door conceals cabinet behind joinery. 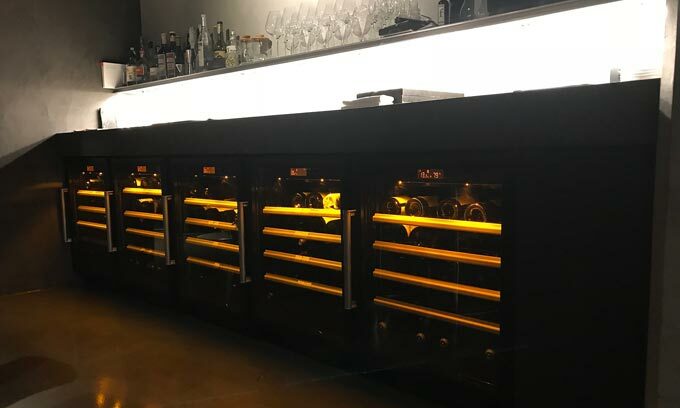 These EuroCave wine cabinets and fridges can be integrated with a level of sophistication never seen before. 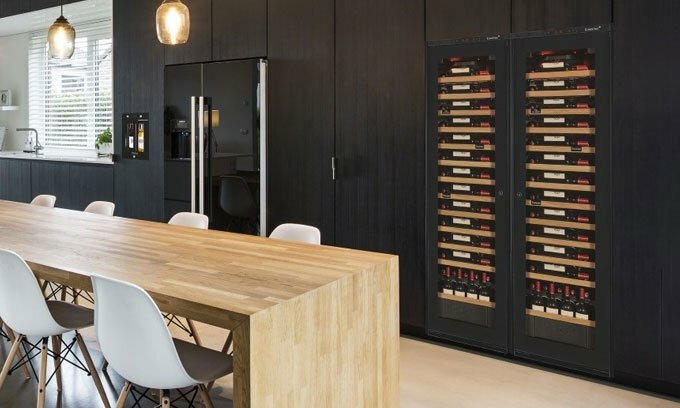 Latest generation wine cabinets combine our expertise and advanced technology with understated, elegant design that integrated into joinery with a unique ventilation system. Some cabinets are even able to be integrated with no visible grid, providing a streamlined look. Choose from a full glass door or an integrated door for partial or full concealment within cabinetry.